The Lynemouth coal-fired power station is located in the Northumberland coastal community of Lynemouth, Ashington, UK. Image: courtesy of Fintan264. The plant produced last power using coal in December 2015. Image: courtesy of Matt Jones. The plant is being converted into biomass-fuelled operation in order to reduce the green house gas emissions. Emerson is the main automation and electrical contractor for the Lynemouth biomass conversion project. Located in the Northumberland coastal community of Lynemouth, Ashington, UK, the Lynemouth thermal power station operated until 1972 on coal fuel. 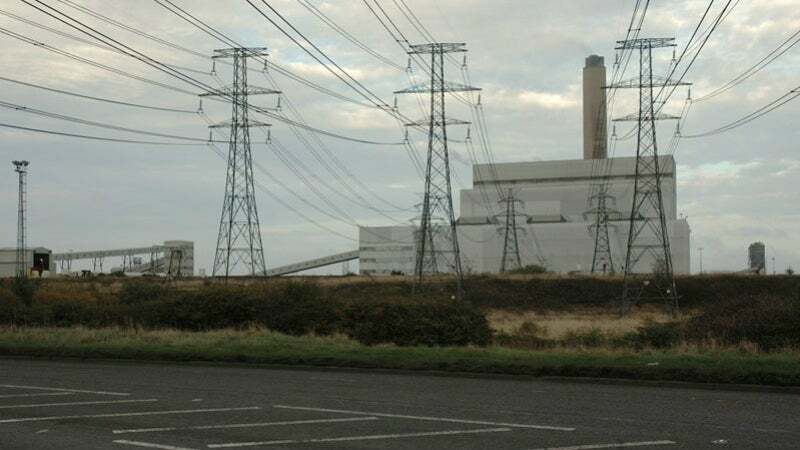 Alcan originally built the 420MW power plant to supply the energy required for the company’s Lynemouth Smelter, located adjacent, to produce aluminium. RWE Supply & Trading acquired the power plant in 2012 and further sold it to EP UK Investments (EP UK), a subsidiary of Czech utility company Energetický a prumyslový holding (EPH), in 2016. The coal-fired plant is being converted into a biomass-fuelled power plant in order to reduce the NOx, SO2, dust and CO2 emissions, and thus support the UK government’s climate change targets. Coal-fired operations at the plant were terminated in December 2015 in order to allow for the conversion. Upon completion of the conversion, the biomass power station is expected to produce approximately 2.3TWh of low-carbon electricity that will be sufficient for roughly 700,000 homes. It is expected to supply up to 390MW of electricity to the national grid. The conversion project is expected to be completed in early-2018. The Lynemouth biomass power plant is estimated to consume approximately 1.4 million tonne (Mt) of wooden pellets a year. The pellets will be imported primarily from the US and Canada and shipped to the UK by sea. They will be received at the new biomass import terminal built at the Port of Tyne, Newcastle, UK. Lynemouth Power Limited (LPL) signed an off-take contract with Enviva Partners, a company based in the US, in June 2016 to supply 800,000t a year of wooden pellets for the plant. The pellets will be supplied starting from the third quarter of 2017 through the first quarter of 2027. Spencer Group will install a fully-integrated and automated biomass rail-loading facility at the port. The facility will be used to convey the pellets to three new silos with a storage capacity of 25,000t each. Two conveyors will mechanically discharge the material from the silos to a rail-loading facility. GB Railfreight will deliver more than 37,000t of pellets on up to 27 trains a week from the Port of Tyne to the Lynemouth power station, under a rail haulage contract signed with LPL. "Upon completion of the conversion, the biomass power station is expected to produce approximately 2.3TWh of low-carbon electricity." The UK government will aid the project through ‘Contract for Difference’ mechanism, under which the government will pay a premium above the market price of the electricity generated by the biomass power plant. The UK’s proposal was also cleared by the European Commission in December 2015. Ramboll has been appointed to provide engineering consultancy services for the plant’s conversion. The company will provide owner’s engineer services under the contract. The combustion and emissions systems for the conversion will be supplied by Doosan Babcock, a company based in the UK. Clyde Bergemann Power Group (CBG) was subcontracted by Doosan Babcock to supply the former’s DRYCON dry bottom ash handling system, which is a steel plate conveyor, to replace the existing submerged scraper chain in each boiler. DRYCON uses ambient air for cooling the bottom ash, unlike the old submerged scraper chain that uses water for ash conveying. CBG will has also delivered pneumatic fuel conveying system for the plant to convey the wooden pellets from the silos to the inlet of the fuel mills located 80m-200m away from the boilers. The fuel handling system for the conversion project has been engineered and designed by Fairport Engineering, a company based in Adlington, England. The civil works for the same were provided by Clancy Consulting. Emerson has been appointed as the main automation and electrical contractor for the project. Its contractual scope includes demolition, engineering, installation, start-up, and commissioning. It will further be responsible for co-ordination of work among multiple suppliers and contractors working for the project. Emerson will install a single integrated automation platform for the turbine, boiler, fuel handling, balance-of-plant processes, and electrical systems at the plant. It will also install the Emerson Ovation® control system at the plant to monitor the moisture content in the pellets and accordingly adjust the combustion air in order to improve the plant efficiency and lower maintenance costs. Eversheds provided legal advisory services for the contracts awarded in relation to the conversion project.